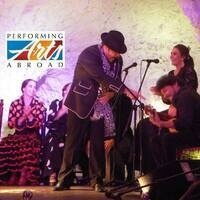 Come hear about the study abroad opportunities for music, dance, theatre, and film through Performing Arts Abroad! Imagine yourself teaching music in Costa Rica, training in theatre with professional actors in London, interning at a dance studio in Barcelona, shooting your own films in Paris or Florence, and much more. With over 30 programs in a dozen destinations, where will you go? Presented by The New School.